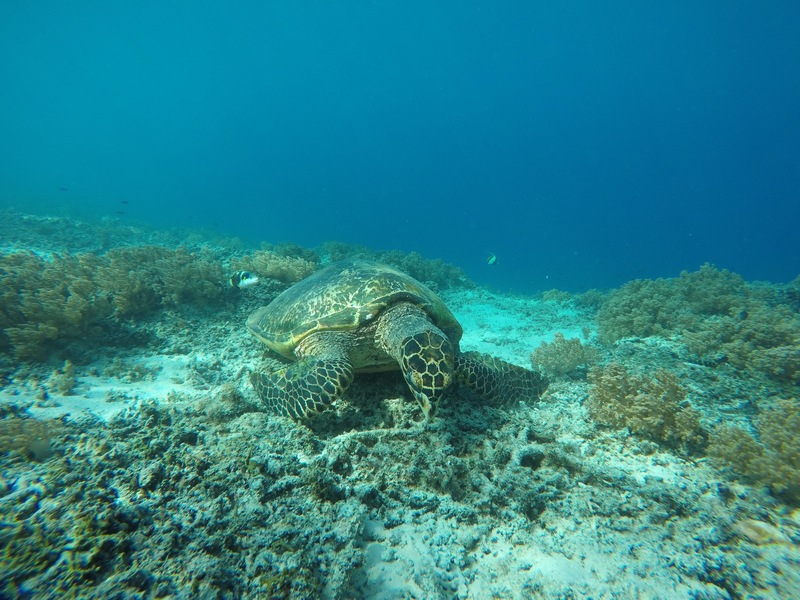 The Gili Islands are ideally situated just off the western coast of Lombok and East of Bali. The volcanic mountains on each of the islands keep the Gili’s in sunshine for most of the year. 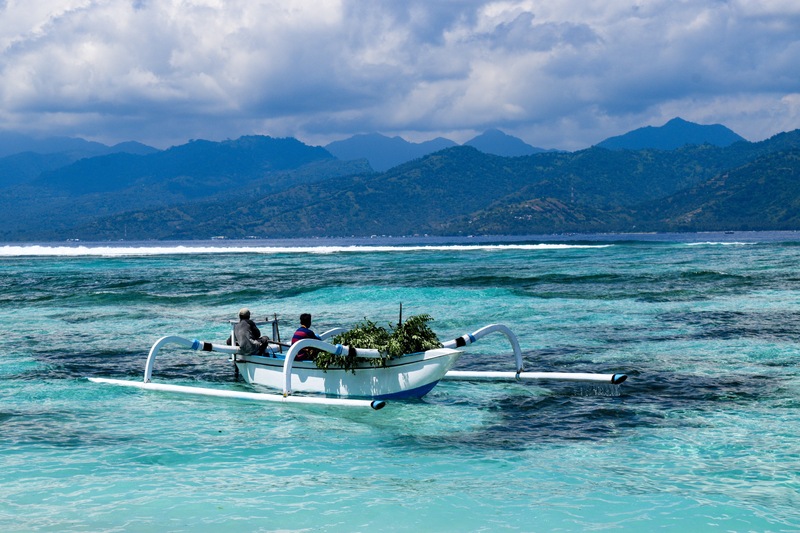 The Gili’s are made up of three islands: Gili Trawangan, Meno and Air. I resided on Gili Trawangan during my trip due to how much it offered. 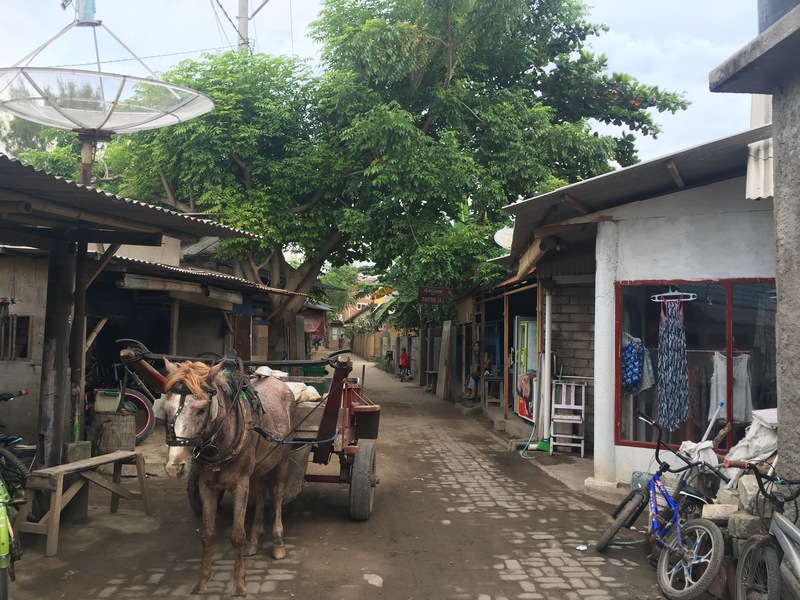 The island is lined with simple dirt paths that make up the streets and along with family shops. On the islands there are no motorized vehicles and there are only three modes of transportation: carriage, bicycle or walking. Since the island only takes 2 hours to walk all the way around this makes it a the perfect island life! Every morning I woke up, walked to the beach, went snorkeling for 3 hours, ate lunch, repeated, ate dinner and went to out on the strip. I loved my time here so much that my initial 3 day trip here turned into almost two weeks on Gili T!!! Along the beach line you find dive shops, luxury hotels and restaurants all competing for your business as you walk by. Almost all the prices are the same but you can haggle down a little bit if you try hard enough! For me though there was only one thing that I wanted to do everyday. That was SNORKEL. 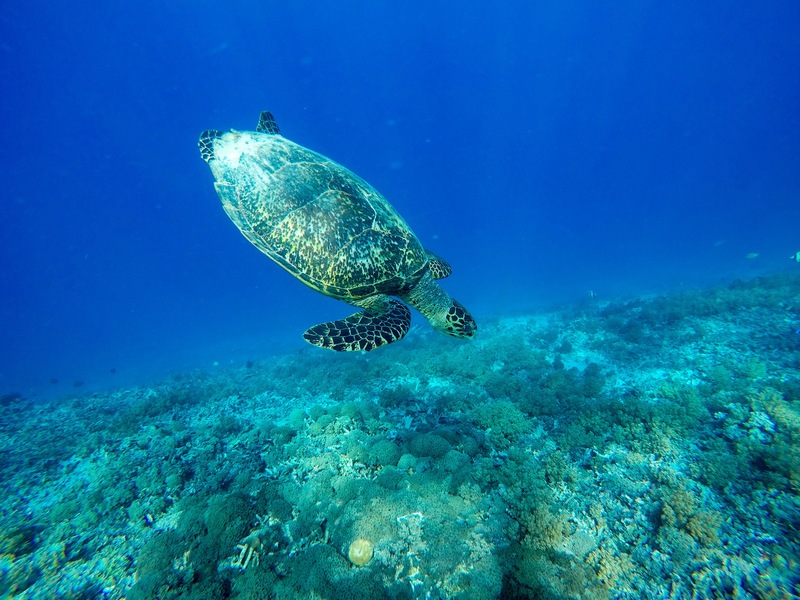 Snorkeling at turtle point is simply amazing. 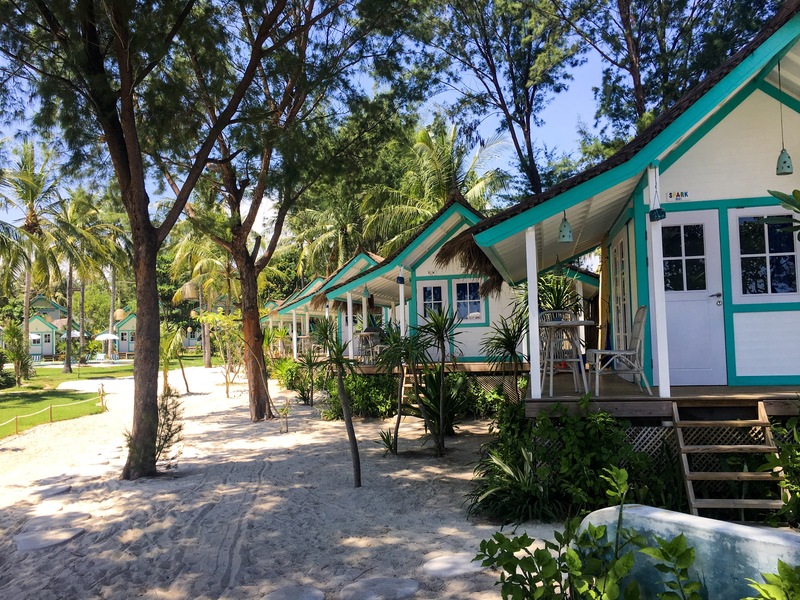 As you walk to the end of the main drag you find the white sand beaches lined with chases overlooking turquoise blue water. It is as if you were walking into a postcard. The best place to snorkel pin the island is at the top right on the map marked turtle snorkeling point. The water is so blue and clear you will think you’re in drinking water. As you look out keep an eye out because you can see the sea turtles popping their heads out to get air. When you walk into the water not even 5 meters out you find sea turtles swimming and feeding on the sea grass. Just past the sea grass and towards the edge of the Trawangan Trench is a some amazing snorkeling areas. The water is so clear you can see to the bottom and there are corals everywhere! As you look around you find schools of fish and even the occasional sea turtle making his way to the feeding grounds! ‭‭The water up to the Trench is only about 15-25 feet deep so you can easily swim to the bottom! I went on a boat tour of all three islands and found the Gili T was the best all around for interactions with the wildlife. I would pass on the snorkeling tour around the islands because it will be a boat full of people chasing one turtle or a school of fish. Not so much fun and way less of a cool experience. Why I loved Snorkeling Here So Much! Everyday that I walked into the ocean I saw so much life swimming around me! Every time I went in the water I saw new turtles swimming around me. Being one on one with such a graceful creature was absolutely amazing! I tested my deep free dives swimming down the Trawangan Trench to personal best of 20 meters deep! Swimming in giant schools of fish and holding Eel’s! All of this was just a two minute walk from my hostel! Walking into the ocean and swimming out is the what island life is all about! So sit back relax and enjoy the island life! This is the easy part. You just wake up and head to the beach. Simple! If you are looking for some more activities to do other than snorkeling don’t worry! There are plenty of things to do! The island has something for everyone! Paddle boarding- This can be found all around the island and will cost around 100,000 IDR per hour. Surfing- There are only couple of spots on the island where the waves are good enough to surf. You can bring your own board or rent one here. I was able to rent a board for 100,000 IDR per hour. Diving- this area offers world-class diving for around 30 IDR per dive or a Discovery Dive for 67usd. Biking- You can rent a bike and ride around the island for around 40,000 IDR. Hiking- You can hike the small bunker hill and see panoramic views of the island. Night life- the party scene on the island is legit and every night only one bar on the island is open after midnight. Be prepared to pay around 35,000 IDR per beer. While there is plenty to do on the island the most important thing to do while here is relax. 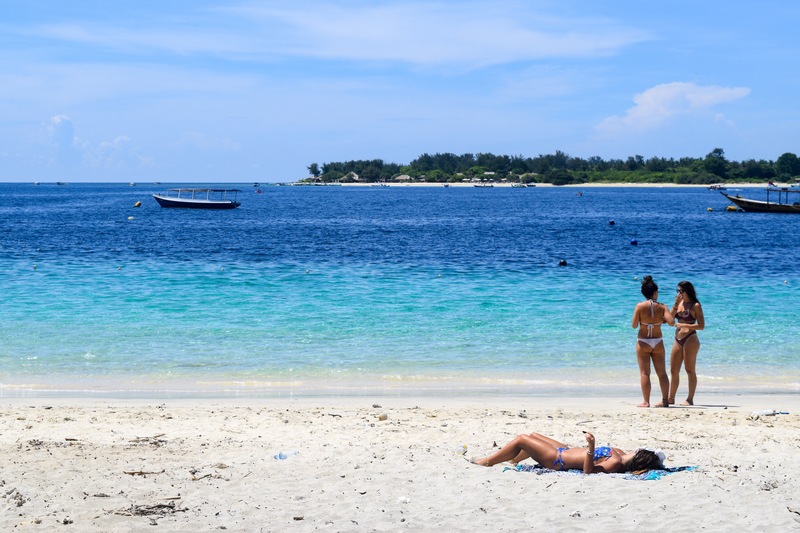 Enjoy the beauty that is Gili Trawangan and forget about everything else! 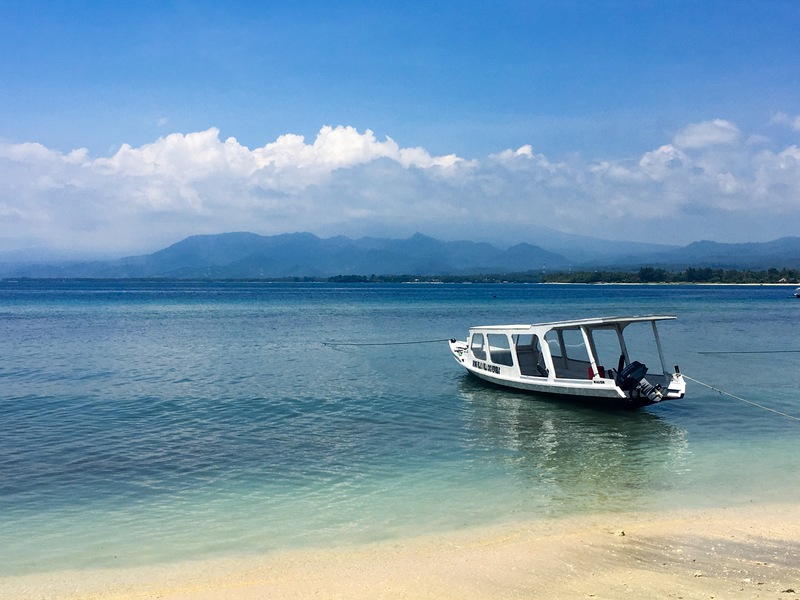 I hope this inspires you to visit the Gili islands and don’t forget to like and share! Blog bellissimo complimenti !!! Ho trovato utili molte informazioni, e mi sarà di spunto sicuramente per la Mia prossima vacanza !! Anche le fotografie sono stupende , mi é proprio venuta voglia di viaggiare e fare un salto in quei posti paradisiaci !! !